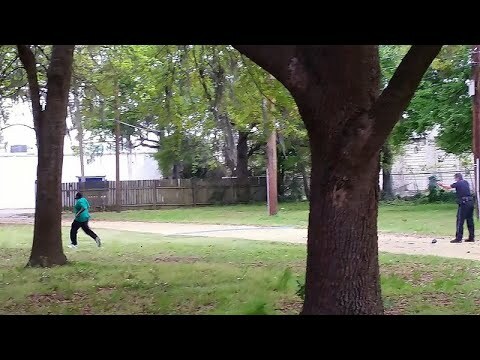 Even after video has surfaced showing that a North Charleston, SC, 33-year-old white police officer who was clearly not “in fear for his life” shot a 50-year-old unarmed black man fleeing in fear of his life (and justifiably so), the culture of white supremacy that permeates our society can’t help but try to give some grounds for the murderer’s actions or call into question the actions of the murder victim. Really? Not ‘why shoot,’ but ‘why run?’ How many people of color have to die or be violently assaulted in the execution of a traffic stop or some other simple encounter with the police, before running away becomes a reasonable response? 10? 50? 100? 1000? Modern science has assured us that “Fight-or-Flight” is an instinctual response to any life-threatening encounter. It is so fundamental to our understanding of human response that to say “I felt threatened” in any situation provides an immediate legally defensible rationale for the use of deadly force, even when the person killed had no apparent means of exercising lethal force in response. We call it “self-defense” or “stand your ground” or “justifiable homicide,” and the person who claims it is legally presumed innocent until proven guilty under the law–as long as they are white. “Never mind the recent rash of unprosecuted killings of unarmed persons of color by law enforcement that are just the current manifestation of an even longer history of the same that dates back to the founding of this country. Never mind the generations long list of acquittals for non-police who’ve been able to successfully argue they felt threatened after killing a person of color. Never mind the generational in length history of state sponsored murder in the form of capital punishment of people of color convicted on dubious evidence. Never mind the poorly documented yet generationally substantial history of state sanctioned murder in the form of public lynching that has claimed tens of thousands of victims of color and at one time proudly included the participation of public officials until it became expedient to keep participants’ identities obscured. Never mind a criminal injustice system that has functioned primarily as a system of racial control creating a legally acceptable form of second-class citizenship, after the reconstitution of slavery and abolition of Jim Crow. Never mind that these things have happened to quite literally “choir boys” and those who were not alike, to persons who let injustice run its course and those who “raged against the dying of the light.” Never mind that there are an exponentially greater number of violent assaults short of death that happen in police custody day in and day out than those who end up dead or in the news. Never mind that these things aren’t happening to some other people of color some other place far removed from us, but to our fathers and mothers, our sons and daughters, our uncles and aunts, our nieces and nephews, our friends and neighbors, so that as a community we are intimately acquainted with both the individual and collective grief as well as the threat of it happening to our person. Never mind that the society in which this happens doesn’t acknowledge any of these as conditions of sustained terrorism…. People of color have every reason to trust the system.” Only a culture of white supremacy would insist so. 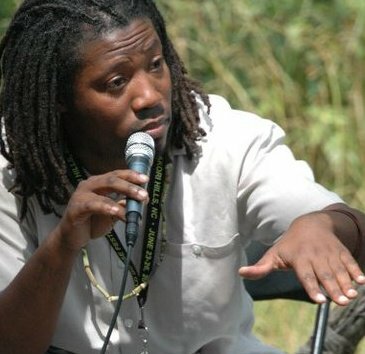 While being considered, on one hand, so inhumanly threatening, even when unarmed, as to be unworthy of a presumption of innocence sufficient to preserve their lives during a simple traffic stop, people of color are expected, on the other hand, to achieve the superhuman feat of never responding to the basic instinct of fight-or-flight, even in the face of likely death. Pay attention to the disjointed contradictions in this corrupt line of reasoning. When the only criterion under the law for presumption of innocence is humanity, one can only conclude by the patterns of clear bias against persons of color that they are perceived as something short of fully human. This perception is further compounded by the perpetual expectation that people of color should do nothing humanly instinctual to preserve their lives when threatened with injury. They must always rise above as if angelic or divine. Simple fear is enough to justify legalized murder, but actual terroristic threat is supposed to be eternally ignored. That’s ridiculous! As long as it remains acceptable to perceive people of color as life-threatening though unarmed, both fight and flight remain perfectly reasonable responses. Sure, I have other options too. However, with the odds of things going bad being so high and that bad (not potentially but) likely costing me my life, how could anyone in their right mind fault me for running or resisting when the other guy is the only one with a weapon?